Known as The Red City thanks to the hue of the thick walls surrounding the old city, Marrakech has been a popular tourist destination in Morocco since the 1960s, attracting everyone from the Beatles to Sienna Miller. 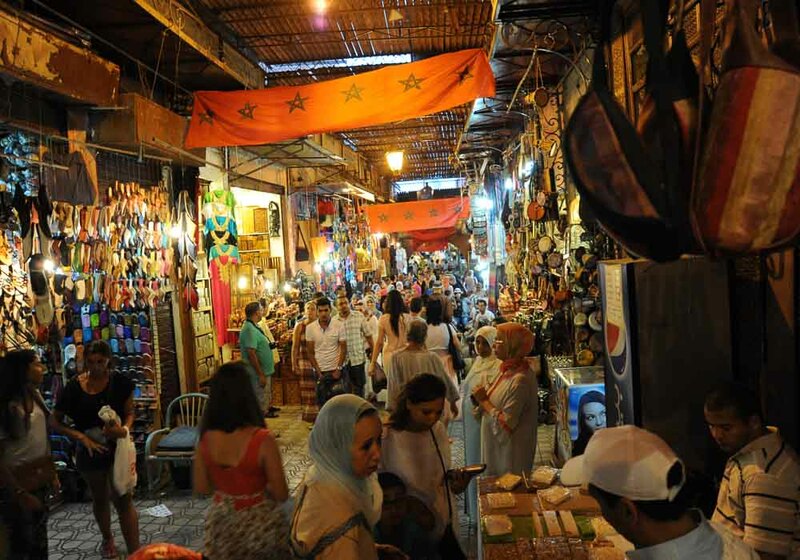 It’s a place to engage the senses, nowhere more so than in the famous souks. These vibrant markets are a whirlwind of colour and noise, where throngs of people weave between tightly packed stalls exhibiting pyramids of brightly coloured spices, richly woven rugs and a thousand other exotic goods. Enticing smells waft through the souks, and the clamour of voices haggling and the cries of vendors competing for customers provides a constant backing track to the city. It’s almost impossible to walk through Marrakech for more than five minutes without finding some architectural wonder to marvel at. From the exquisite gardens to the intricately carved archways to the ornate mosques, this is a city that displays its history in its man-made environment. The Medina in particular is a sight to behold: designated a UNESCO World Heritage Centre it’s a wonderful mix of Amazigh, Arabic and Moorish architecture. When it comes to entertainment, Marrakech blends cultures to magical effect. Jemaa El-Fnaa is the busiest square in the whole of Africa, packed with fire-eaters, cross-dressing bellydancers, Amazigh acrobats, astrologers, and a hundred other types of street entertainers. Marrakech also plays host to many festivals such as the Dakka Marrakchia, the Popular Arts Festival and the Marrakech Biennale. A more relaxed time can be had on one of Marrakech’s fine golf courses, or for a delightful pampering experience then seek out one of the many hammams that are a speciality of the city. When it comes to art and film festivals, Marrakech is one of the richest cities in Africa. There is a host of celebrations throughout the year, ranging from small local events to international festivals. 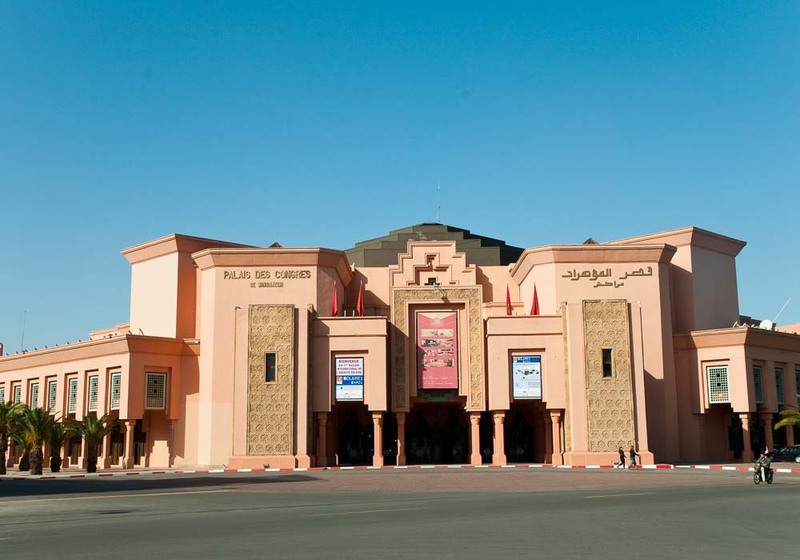 The stars come out every November for the Marrakech International Film Festival. Showcasing the best in African and Arab cinema, the festival has matured since its debut in 2001 into a major event on the global film calendar. Highlights include the Jemaa El-Fnaa being turned into a huge open air cinema. Marrakech is also home to the largest magic festival in the world – conjurors, enchanters, illusionists and wizards from around the globe congregate in the city for four days every March. And in July it’s the turn of the Marrakech Popular Arts Festival to take centre stage. Another top arts event, it’s a time when you can experience traditional Amazigh music, Moroccan folk dancing and countless street performances. 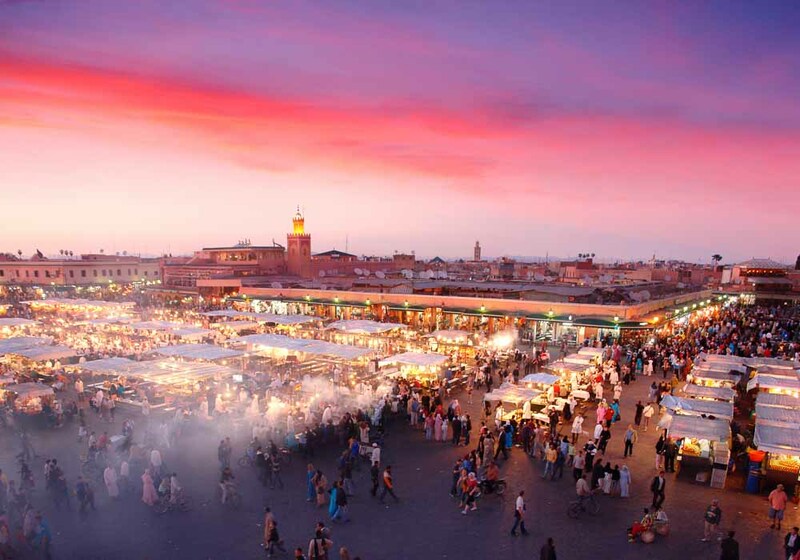 With a thousand year history that includes Amazigh, Moorish, Arabic, and French influences, Marrakech is a place that is rich in culture, and every year the place known affectionately by its many fans as ‘The Red City’ holds festivals to celebrate its past every year. The Dakka Marrakchia is a musical festival that involves whole neighbourhoods. 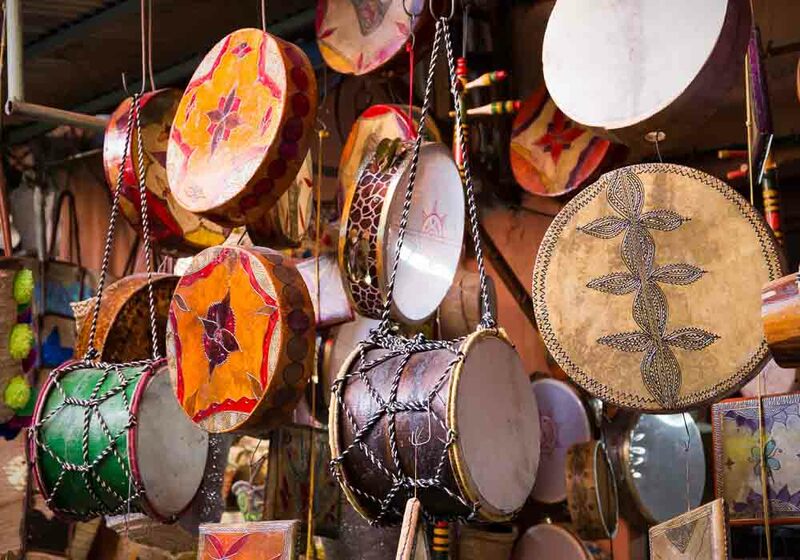 Male musicians create pounding beats on traditional Moroccan percussion instruments such as the lakrakash, taarija, naffar and tara, while others raise their voices in haunting choral chants. 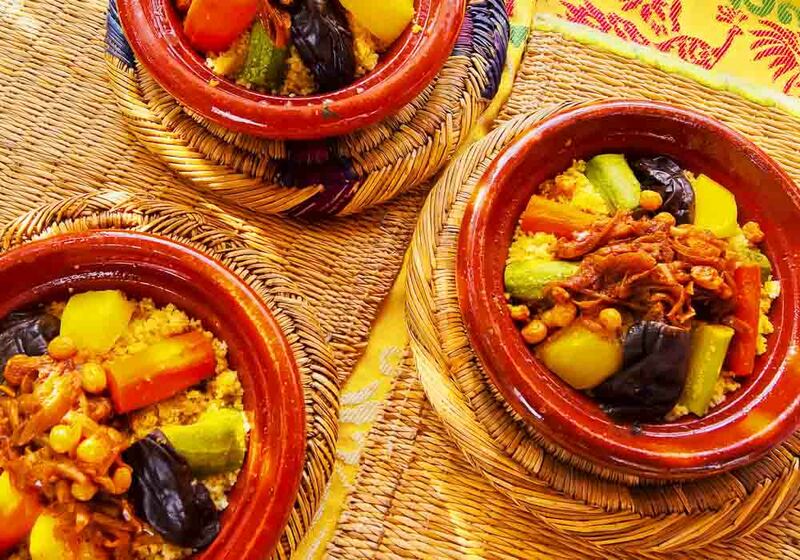 A mix of history, folklore and culture, this February event encapsulates Marrakech. Later in the year is the Marrakech Popular Arts Festival. Traditional Amazigh music, folk dancing and street performers feature over the five days in June or July, whipping the city up into an even more energetic frenzy. One of the highlights is the Fantasia – hundreds of charging horsemen outside the city walls at nightfall. Take a trip to Marrakech and you’ll be in a city that has culture at every turn. It’s a place that’s full of life, and you’re far more likely to find see something informal and spontaneous than in a theatre or gallery. The giant square of Jemma El-Fnaa is packed with musicians, artists and dancers, performing their work with, around and sometimes against each other. Despite the recent proliferation of Western-style hotels and golf courses Marrakech is still an Islamic city, and the influence of Amazigh and Arab culture can be seen everywhere. Stay in a Riad, take a hammam in a local bath house or look around a traditional mosque – the culture of Marrakech is truly unique. 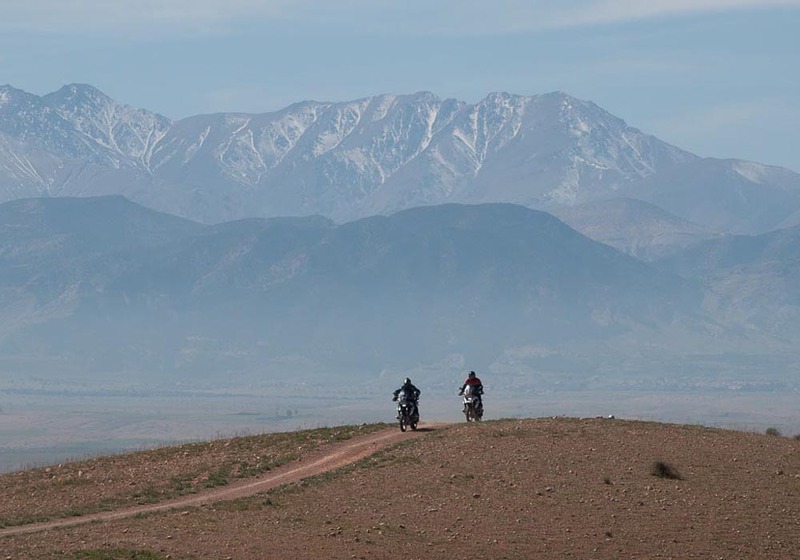 One of the most rewarding ways to explore Marrakech and its surroundings is on two wheels. 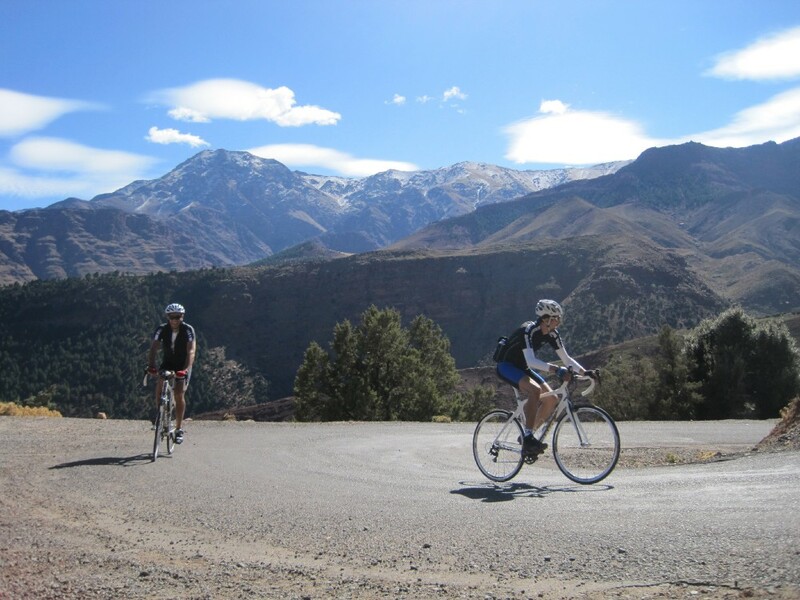 Whether you like to explore on a touring bike or prefer to leave the roads behind and seek your thrills on the mountain trails, Marrakech has something for you. 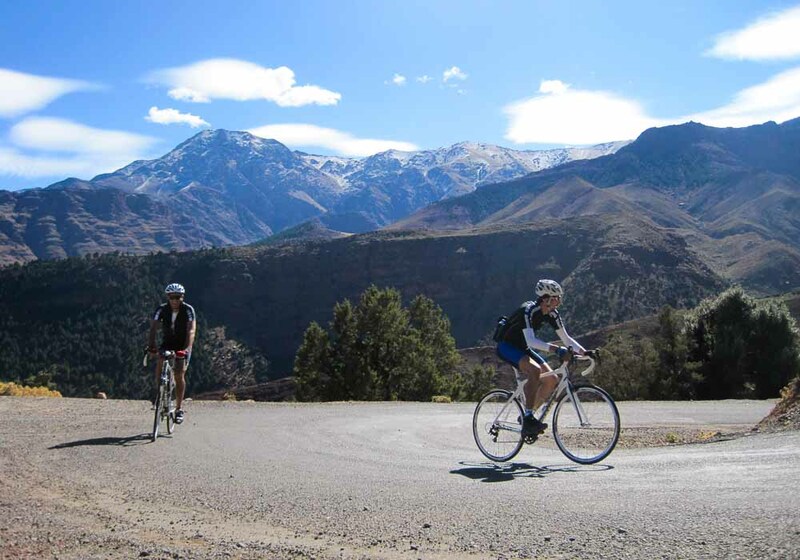 There are many businesses that organise cycle trips, both road and off-road. They’ll provide you with all the equipment you need, plus a guide to lead you on the most exciting routes. 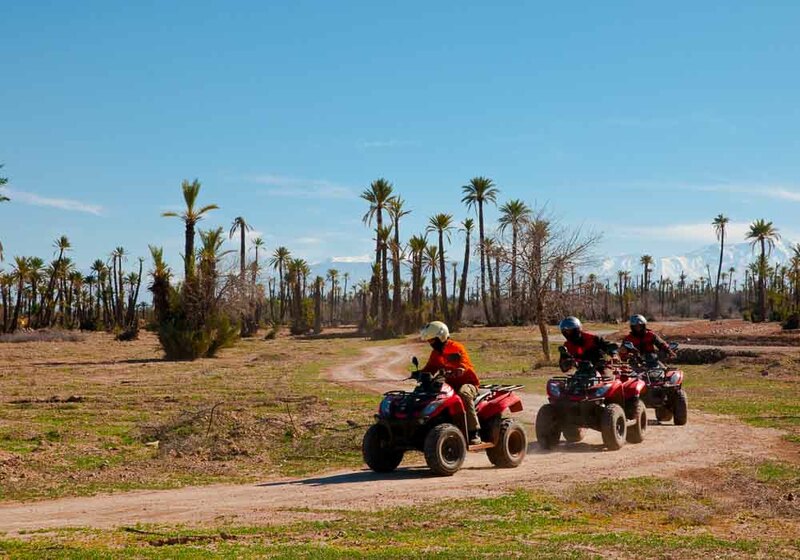 Off-roaders can enjoy a light adventure on the small byways and tracks through palm groves and local villages, but the real fun is in the Atlas mountains riding across streams, over rocky paths, through dense woodland and always in stunning scenery. Marrakech is a great destination to enjoy as a family. Children will love seeing the city from the top floor of the open-top buses that tour Marrakech, and they also act as a hop-on, hop-off service, saving little legs from too much walking. 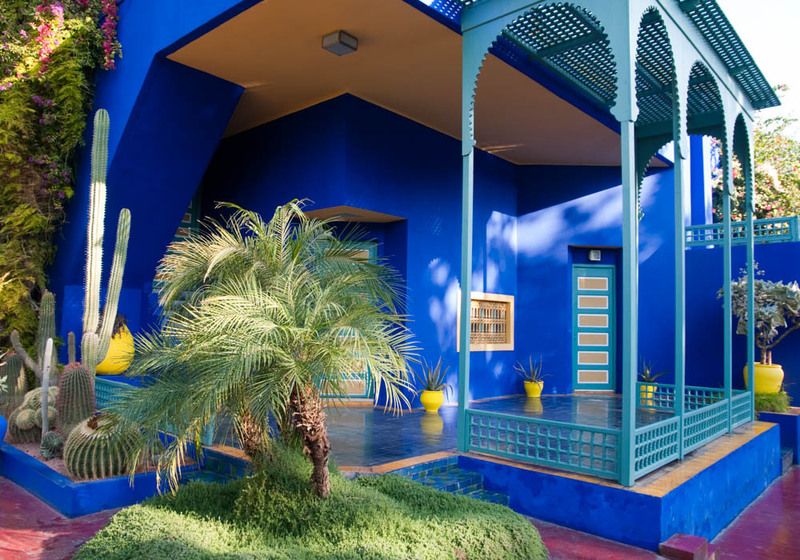 The Majorelle Gardens are great for all ages – adults will love to soak up the peaceful atmosphere in this visually stunning part of Marrakech, while children will enjoy exploring in the shade of the palm trees. 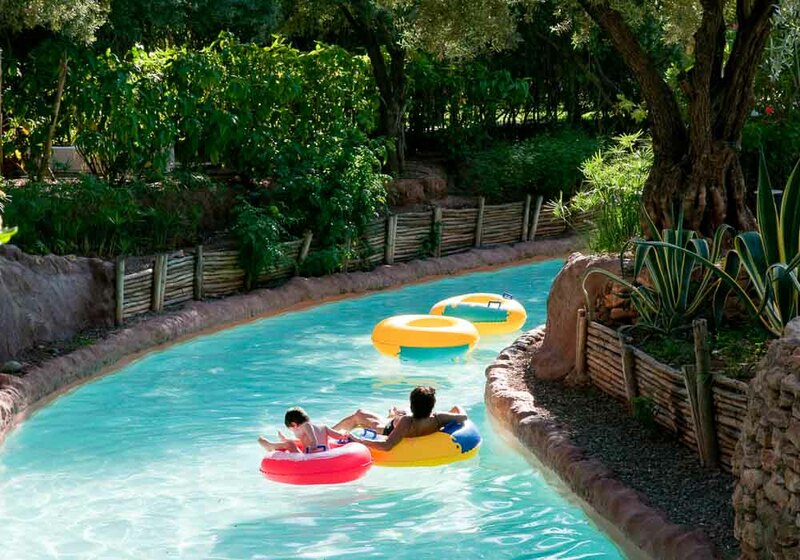 And another great place to escape the heat is the Oasiria Water Park. This outdoor aqua-centre has two large pools, a wave machine, children’s pools, a lazy river and three great slides, more than enough to keep you all happy and occupied for the whole day. 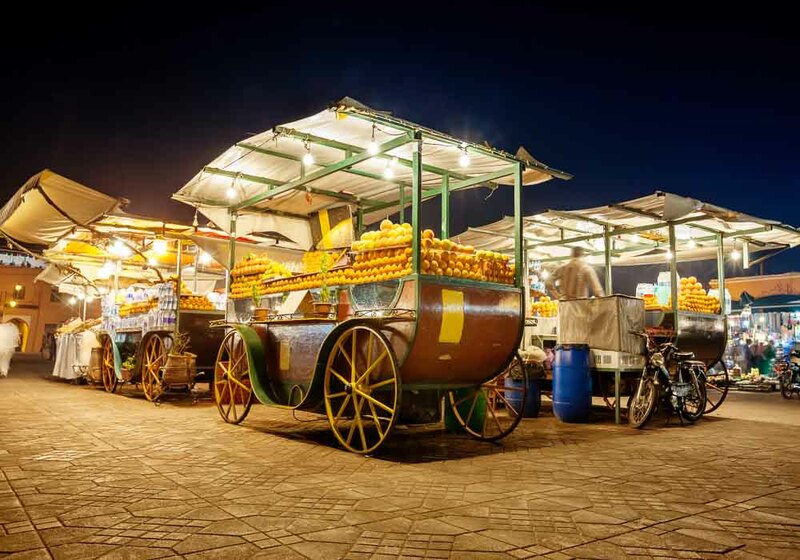 To experience the real taste of Marrakech on your holidays, you can’t do better than walk the Jemma El-Fnaa. During the day, between the storytellers and snake charmers, are stalls serving freshly squeezed orange juice and grapefruit juice, dates and oranges. 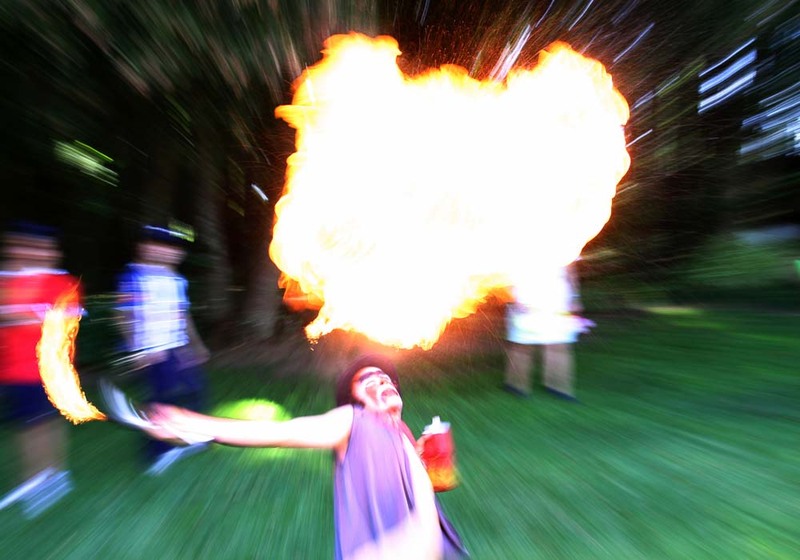 As darkness falls the food sellers emerge, filling the night sky with the smoke and scents of a thousand grills and cooking fires. Restaurants and cafes aren’t in short supply either. They can be found around the edges of the square, along alleys, in hotels and in people’s homes. Prices vary, but even the most exclusive eateries are good value compared to their European counterparts. Image: How's this for a water hazard? 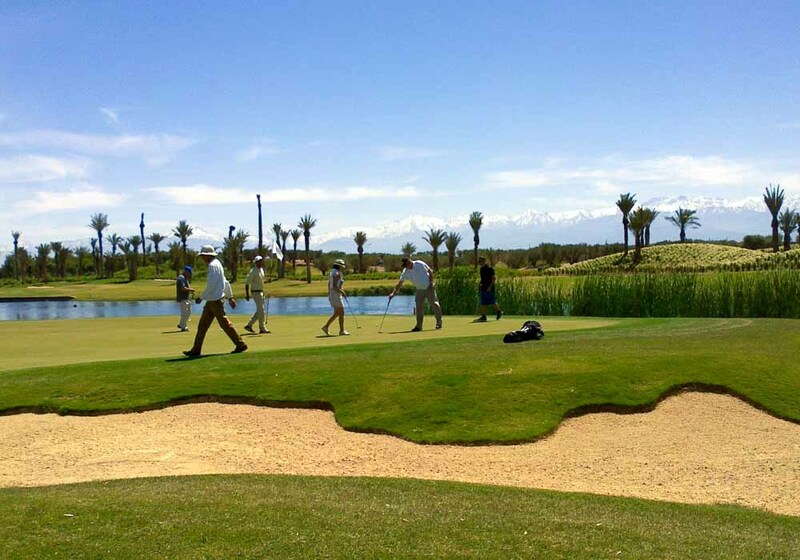 Over the past two decades the number of golf courses in Marrakech has increased, ensuring that golf fans can really benefit from its numerous attractions. With fine weather (the city averages just 59 rainy days a year), stunning scenery and a landscape that lends itself perfectly to exciting, testing courses, it is ideal for a golf holiday. 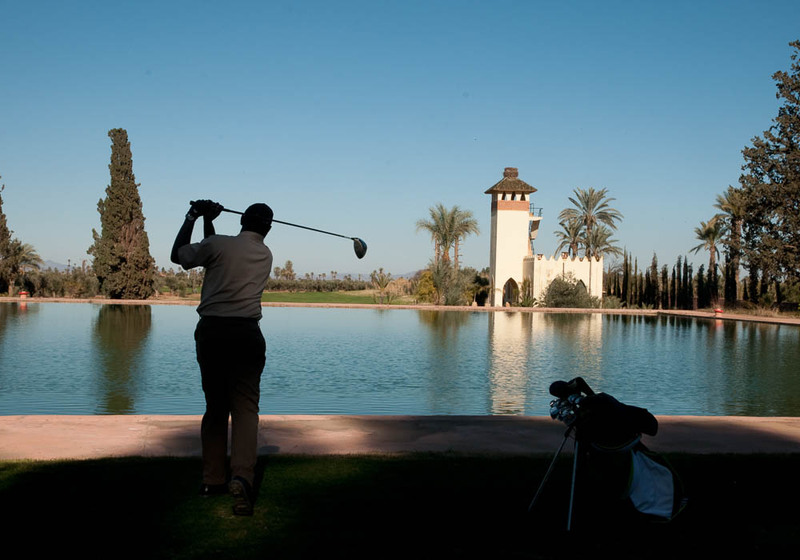 For nearly sixty years, the Marrakech Royal Golf Club was the only course in the city. Designed in 1933, this par 72 has been played by such luminaries as Winston Churchill, General Eisenhower and King Hassan II. While its facilities are fully up to date, the Royal’s prestigious history can be seen everywhere round the course. It was in 1992 that the first ball was struck on Marrakech’s second course. 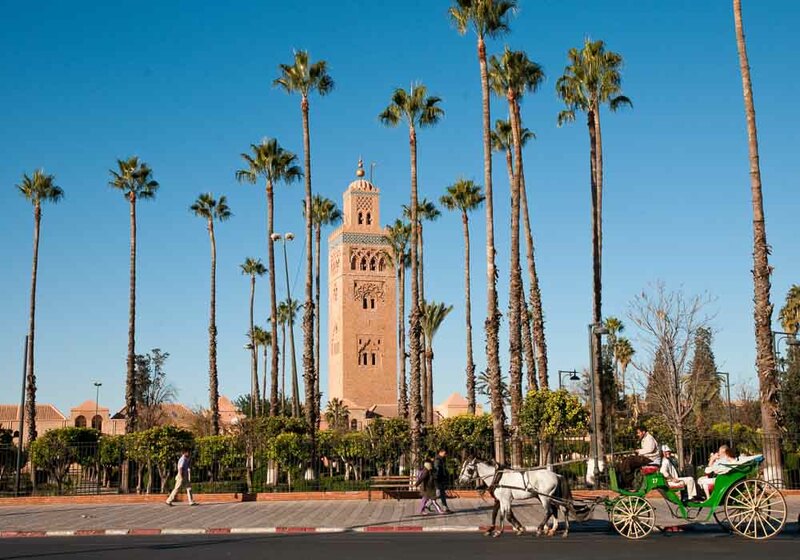 Taking on Marrakech Palmeraie in the north-east of the city is said to be like playing on a lush desert oasis. 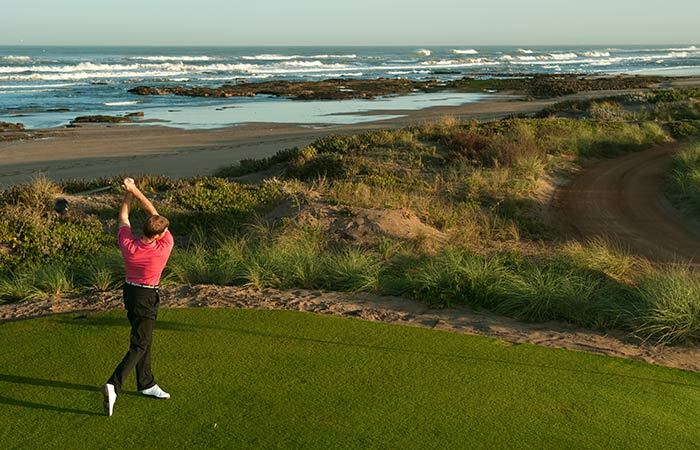 Updated in 2009, the back nine of the old course is especially fun with many water hazards to take into account. The Samanah Golf Course is a Nicklaus designed course and, as you’d expect, it’s a high quality experience from start to finish. The clubhouse and the practice facilities are first class, and the course itself is a mix of strategic holes and flowing greens. When you’re standing on the fairway between olive trees and cacti, with the Atlas Mountains in the background, you know you’ll be talking about this course for a long time. The Kyle Phillips-designed Al Maaden resort which opened in 2008 is a must for any golfing holiday. Previously a barren piece of land, Phillips has used his famed ingenuity to create a track that rivals any course in Africa and most in Europe and the US . It has everything you’d want in a course: five different tees to start from, fairways with good movement, intelligent water hazards and a lovely risk-and-reward shot on the 18th. Expect to play this course more than once, you won’t be able to resist. One of the newest courses in the city (opened to guests in 2014), The Assoufid Golf Club has already established itself as a place with unrivalled service. 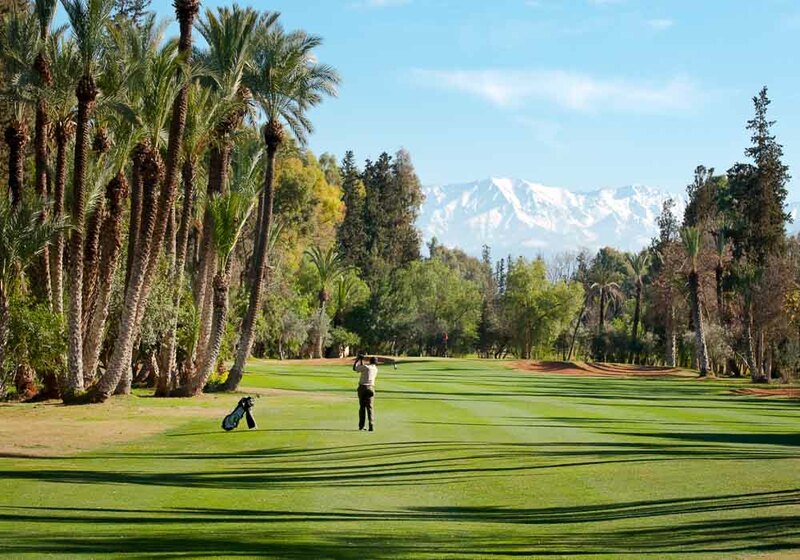 As you’d imagine it has state-of-the-art facilities and the course is cleverly designed to ensure that almost all the fairways run north to south, so you always have views of the nearby Atlas Mountains. This is a self-proclaimed ‘Private Course’. 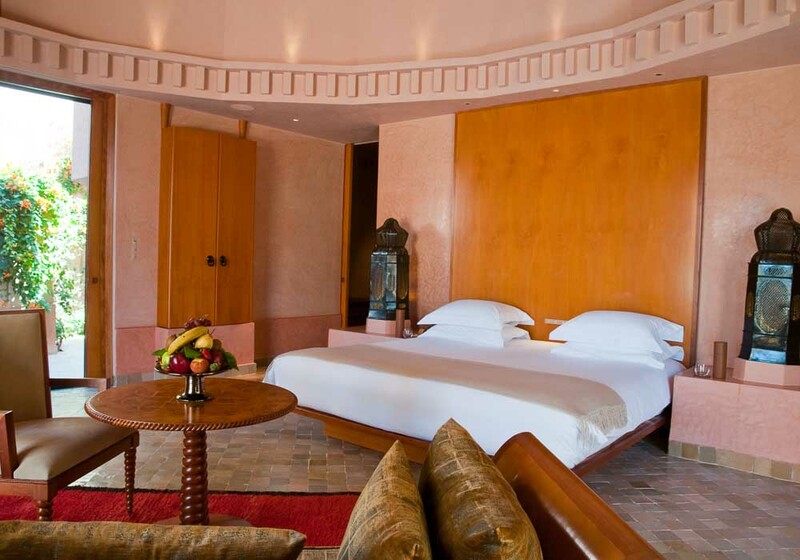 Cabel Robinson’s Amelkis Golf Resort was built in 1995, opposite the Royal Golf Marrakech. With its distinctive kasbah style clubhouse, this is a course that will give you a challenge, especially on the double doglegged par 5 sixth. La Noria Golf is one of the newest courses in Morocco and has been specifically designed to reflect a traditional south Moroccan village. 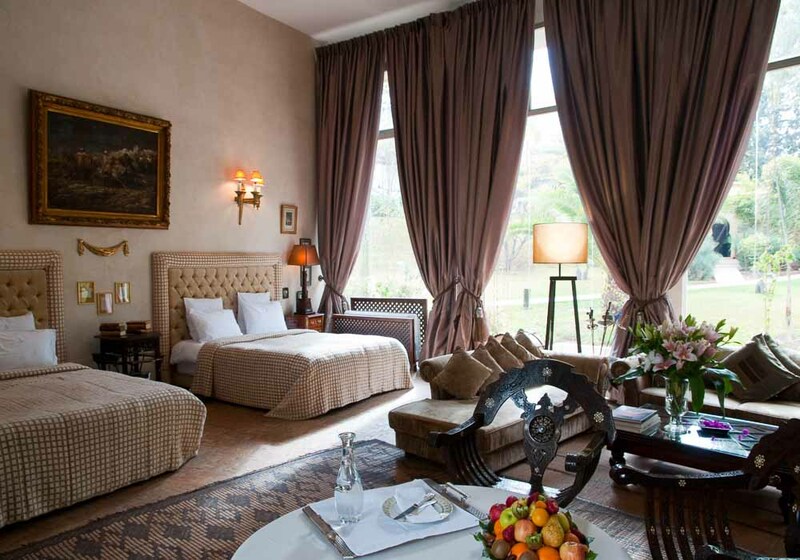 You’ll play through fields of lavender, olive groves, water features and even a Moroccan bell tower! PalmGolf Marrakech Ourika is a sister course to the Palmeraie. Over 70 hectares have been landscaped to create a semi-desert Arizona styled course. 46 bunkers, changes in elevation, water hazards and some jaw-dropping views of the Atlas mountains make this course a fun and memorable one to play. 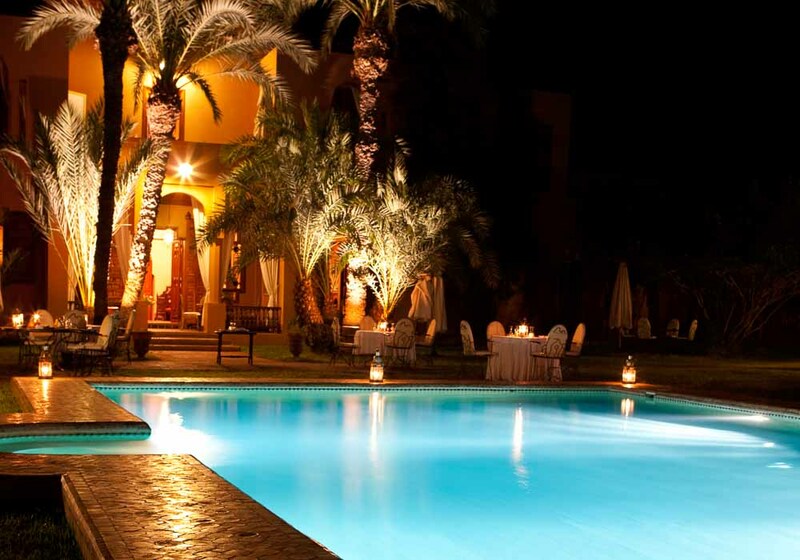 Getting There: Just 10 minutes from downtown Marrakech and 15 minutes from the international airport. Just five minutes from the centre of Marrakech, this is the city’s newest course. Take a petit taxi here and tee off on the 1st with a fantastic view of the Koutoubia Mosque. There are few water hazards here, leaving carefully contoured greens and fairways to make up the majority of this course. The clubhouse is huge and includes gourmet burger bars, a nightclub and the only ice bar in Africa! 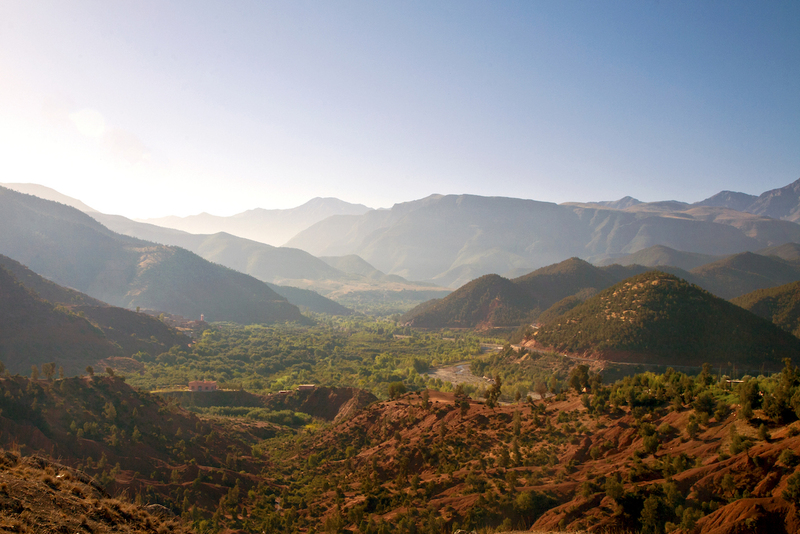 Getting There: Just 5 minutes from the heart of Marrakech. 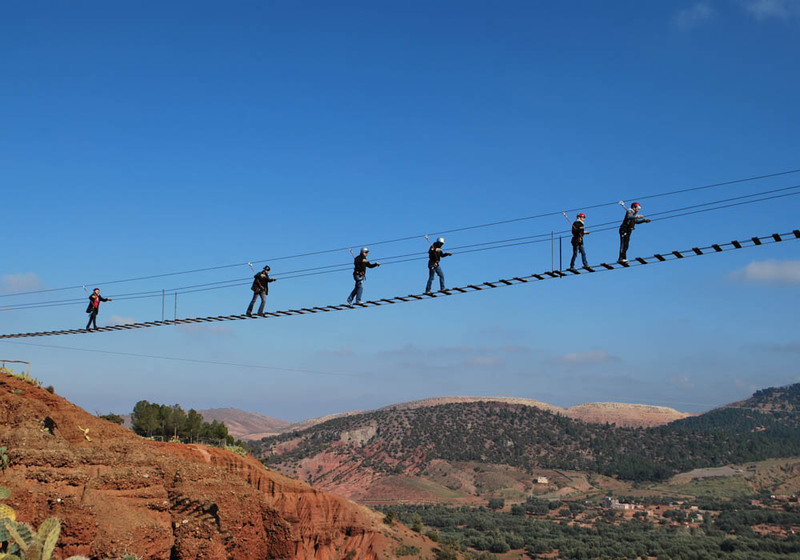 WOW FACTOR: The newest course in Morocco. 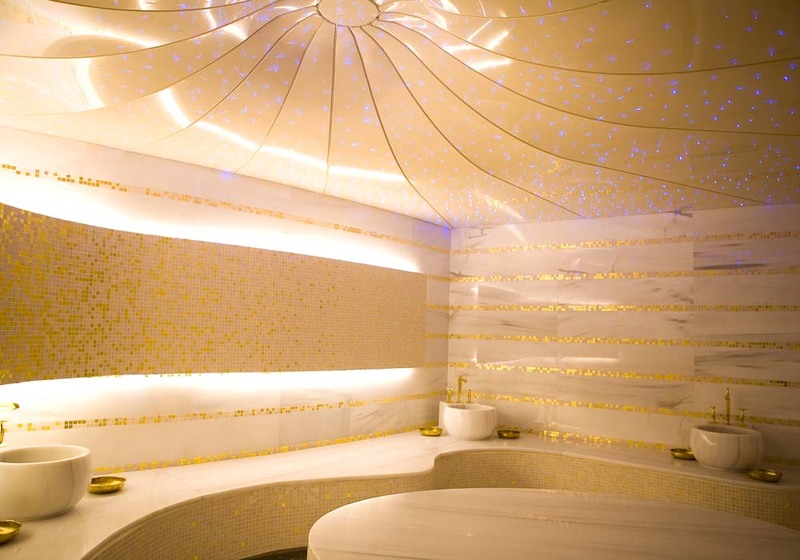 A Moroccan hammam is a great way to indulge yourself at the same time as immersing yourself in authentic culture. They are deeply rooted in the Islamic ritual of ablution, and have similarities with Swedish saunas and spa treatments. Treatment involves lots of steam, hot and cold treatments, the application of the famous black soap to remove dead skin, and often a delightful massage too. Marrakech has many places to have a relaxing hammam – lots of the more expensive hotels and riads have them within their grounds, or you can find more traditional ones in the Medina and down the narrow lanes and alleys of the city. 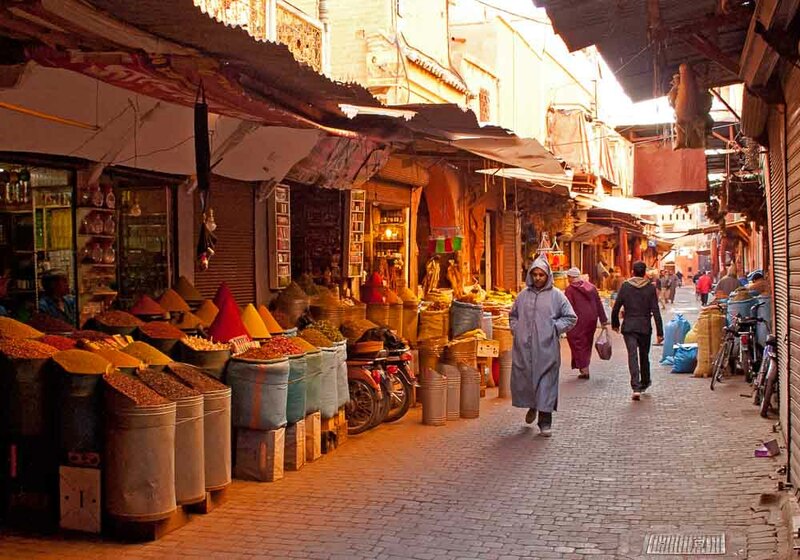 Marrakech has been a major political, economic and cultural centre of the western Muslim world for centuries, and has been ruled and occupied by the Amazigh, the Arabs, the Moors and the French. The legacy of each culture can easily be seen along every street and in the city’s buildings. 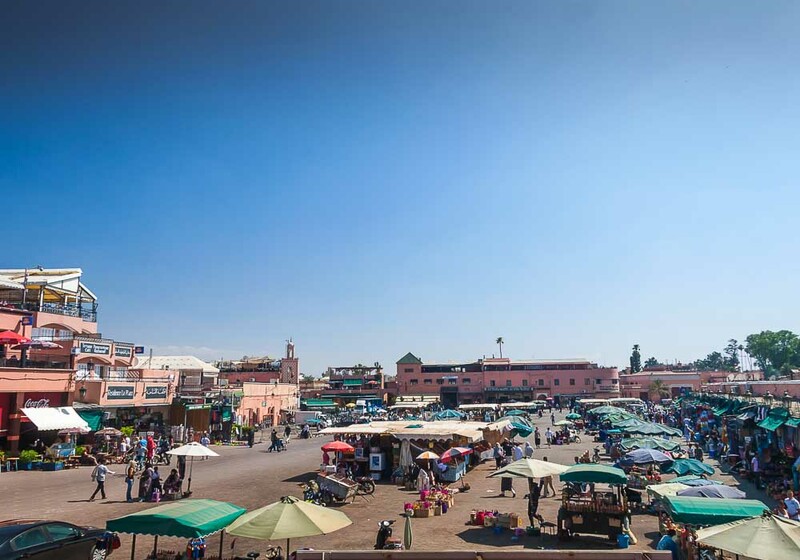 The major place to discover Marrakech heritage is the Medina. Inside the red sandstone walls of this UNESCO site is a stunning array of mosques, riads and other buildings. This is where you’ll find Koutoubia Mosque and Minaret, (the tallest building in the city), 11th and 12th century Almoravid monuments, 16th century Saadian palaces and tombs, and much, much more – so unspoiled it’s like stepping back in time. Anyone looking for a white water adventure will love Marrakech. 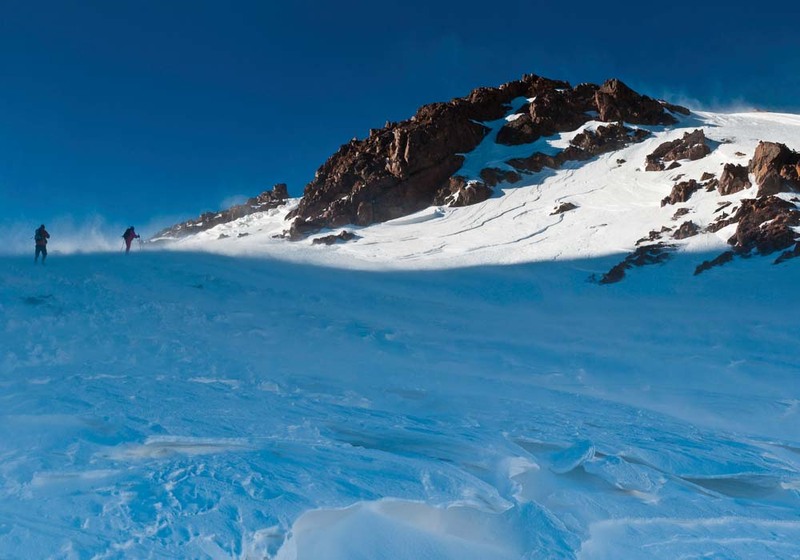 Its proximity to the towering Atlas Mountains makes it a great base for taking to the water, and the sunny Moroccan climate means that the water is pleasantly warm almost all year round. 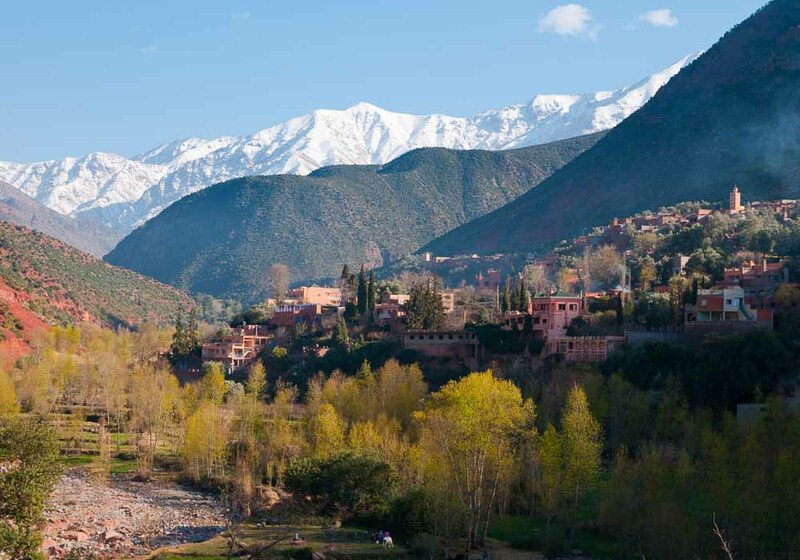 The Ourika River has tumbled down the mountains for millennia and wends its way through Ourika valley, just 30 km from Marrakech. Despite being this close to the city it’s relatively unspoiled and as you paddle through the scenery is stunning. Red cliffs rise up either side of you, and there are several waterfalls that catch the eye. The Ahansal River is equally good for white water rafting. The scenery is stunning, the remote location meaning that much of it is untouched by modern civilisation. The power of the river is evident and you’ll be whisked past towering cliffs, steep waterfalls and small villages on your thrilling white water descent through the mountains. 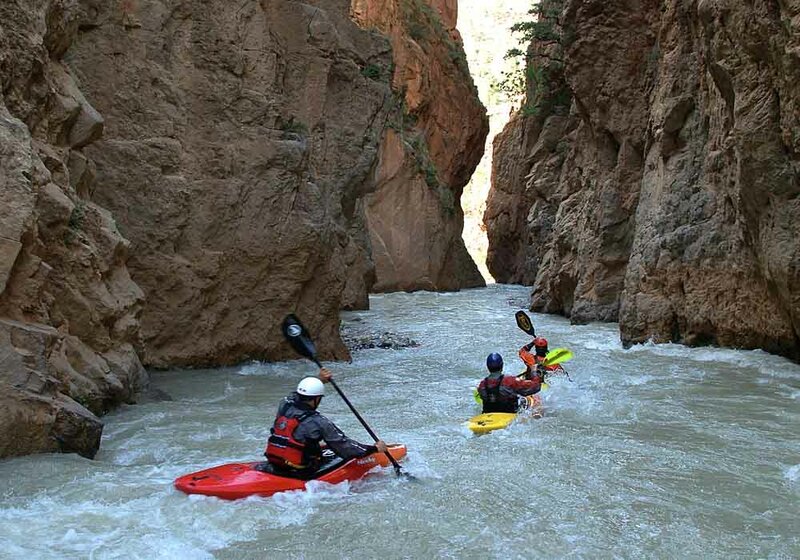 In Marrakech you’ll find there are several companies who organise white water rafting trips. Guides are knowledgeable, friendly, ensure your safety – and the care they provide is first class. Marrakech is one of the four Imperial Cities of Morocco and over the years has been visited by Kings, Presidents, Prime Ministers and hundreds of A-list celebrities. As you’d expect, it’s not short of luxury places to stay and things to do. Have you ever holidayed in a palace before? Marrakech has several to choose from: some historic, some constructed in the last few years as more people than ever discover Morocco’s charms. 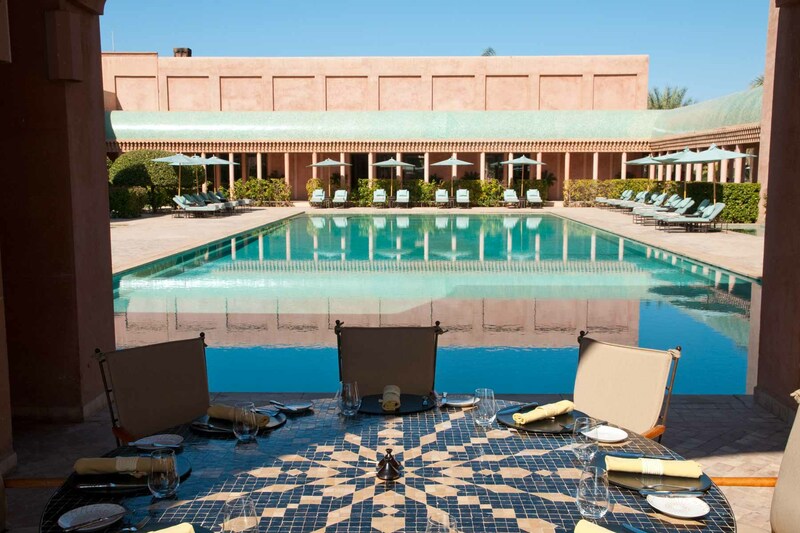 Along with Marrakech’s top end hotels they are oases of calm amidst the energy and bustle of the city, providing you with exquisite rooms, delicious food and luxurious facilities including swimming pools and hammams. Even if your budget doesn’t stretch to staying in one of these, there are plenty of luxury riads across the city at extremely reasonable prices, ensuring your stay is a lavish one. 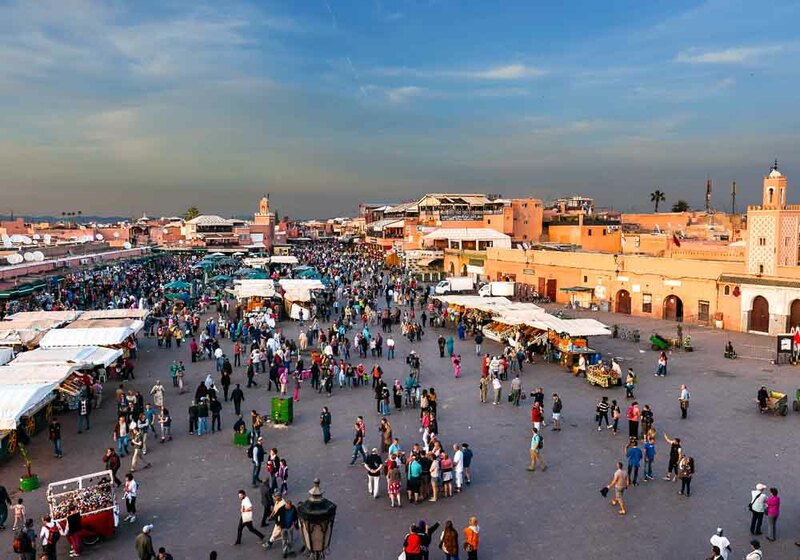 The new must-visit of the international jet set, and beneficiary of billions of pounds of recent investment, Marrakech is an ideal destination for business events. 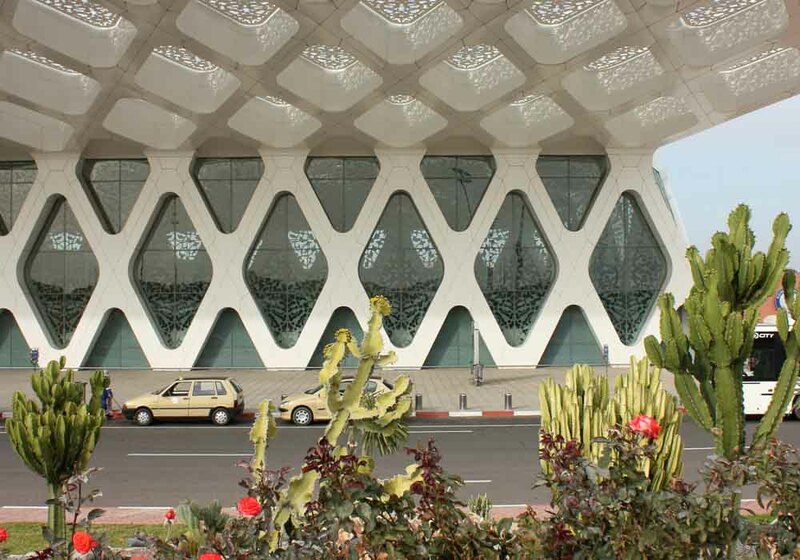 Marrakech airport receives direct flights from London, Manchester, Milan, Barcelona, Madrid, Paris, Berlin and many other cities across Europe. From the airport it’s a short drive to the centre of Marrakech where you’ll find the many five star hotels that are experienced in hosting successful business events. 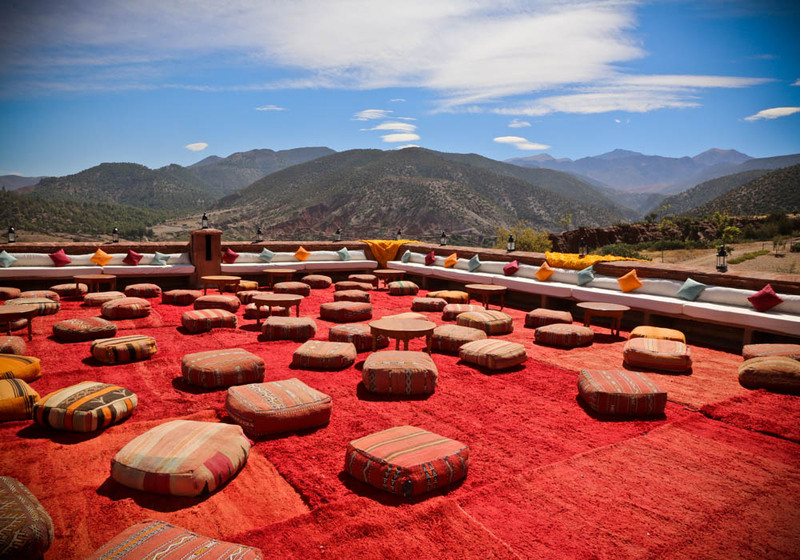 Their facilities include state-of-the-art conference rooms and auditoriums, and of course the beauty of holding your corporate event in Marrakech is that delegates’ free time can be spent exploring this beguiling city. Most hotels will organise tours so your guests can visit the ancient Medina, the bustling Jemma El-Fnaa, the numerous hammams, and the nearby Atlas Mountains and Sahara Desert. 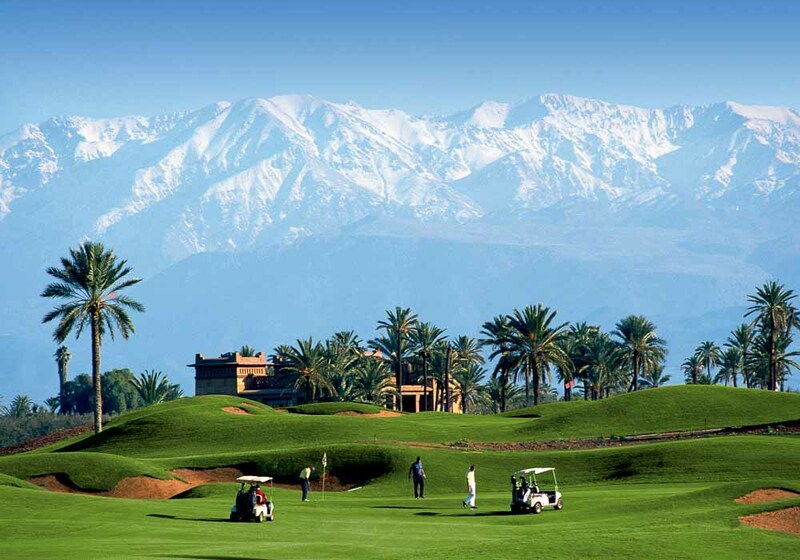 Marrakech is also now the prime destination for golf holidays in Africa with a dozen fantastic courses to play. 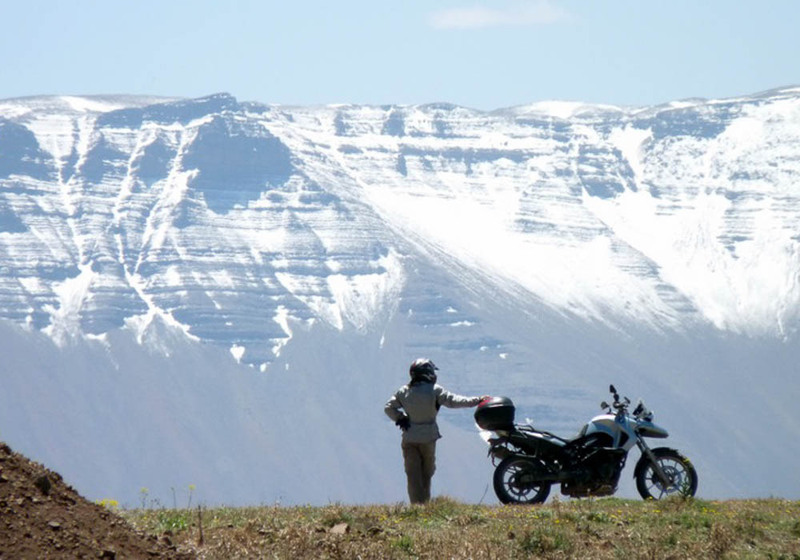 It’s said that you can only really discover Marrakech from the back of a motorbike. It certainly seems to be the preferred mode of transport in the city, with a rumoured one million bikes on the roads. Hiring one is easy and cheap, and you’ll soon find yourself powering from one city attraction to another surrounded by fellow bikers. As with most ancient cities the roads can narrow to the size of alleyways – no-go areas for cars, but no problem for bikes. When you want to find a bit more space to ride, hit the open roads outside the city and explore the local area. Well-kept roads take you past traditional villages, desert oases and climb into the Atlas Mountains where the Amazigh farm on traditional stepped fields and the views stretch for a miles and miles. 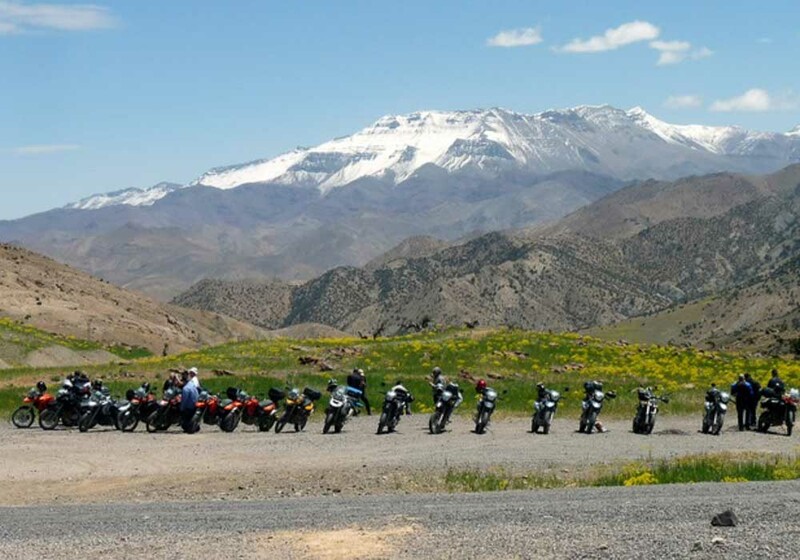 And for experienced and confident riders, rough and rugged terrain awaits you, from the soft sand of the desert to rocky mountain trails – don’t miss the Tizi-n-Test pass. It’s easy to hear the music of Marrakech – just take a walk through the Jemaa El-Fnaa to hear a throng of street musicians ­– but the most intense experience can be found in the city’s two music festivals. 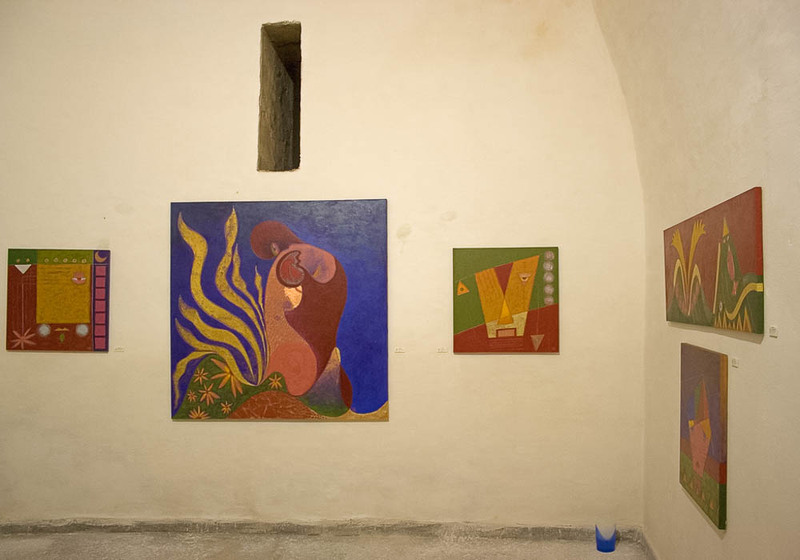 Every July Marrakech plays host to the National Festival of Popular Arts. Musicians from across the country pour into the city to fill it with Amazigh music, traditional dancing, street performances and all sorts of other entertainment. 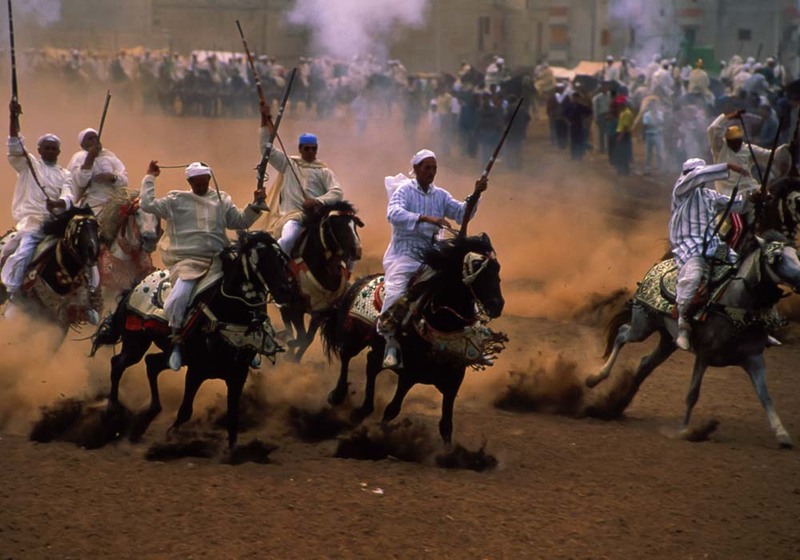 The Dakka Marrakchia is held every February and is an event that is older than the city itself. Dating back to the time of the Saadian Dynasty, the festival pays tribute to the seven saints of Marrakech, and musicians from seven regions take part. Over the course of the festival locals become the centre of the event, creating heart-pounding, foot-stamping beats. With this strong core of percussion overlaid with choral chants it is is an evocative festival that rewards visitors with memories that will last forever. As a result of being a French protectorate in 1912 and several decades of being on the tourist trail, the people of Marrakech blend Arabic and European influences. As a result, the city is more relaxed about dress code and alcohol than cities in many other Arab countries, though it is still wise to practise discretion. The people on the whole are hospitable, friendly and proud of their fine city. Many speak French, and as with most places they appreciate you attempting the language, even if it is just bonjour and merci! Marrakech has been a regarded as one of the finest retreats in the world for decades, since it became part of the ‘hippy trail’ in the sixties, helped by visits by the Beatles, the Rolling Stones and Led Zeppelin amongst others. To cater for this a fine industry has grown up, providing peace seekers with a range of special stays to leave them relaxed, refreshed and ready for anything. How about staying in one of the city’s many excellent riads – lounging by the pool or having a drink on the roof, overlooking the city and the nearby Atlas Mountains? Several luxury hotels offer spa treatments and detox breaks and there are even yogic retreats especially for women on offer. Come to Marrakech and leave the stress behind. While there is enough going on in the city of Marrakech to keep you occupied for the whole of your holiday, you would be missing out if you didn’t venture outside the city limits and discover the countryside around it. Wherever you go in Marrakech you can’t escape the gaze of the Atlas Mountains. These peaks are just an hour’s drive from the city and are absolutely fascinating to explore. Alternatively you can head south to the Sahara, the largest subtropical desert in the world, and experience one of the most unique places on the globe. 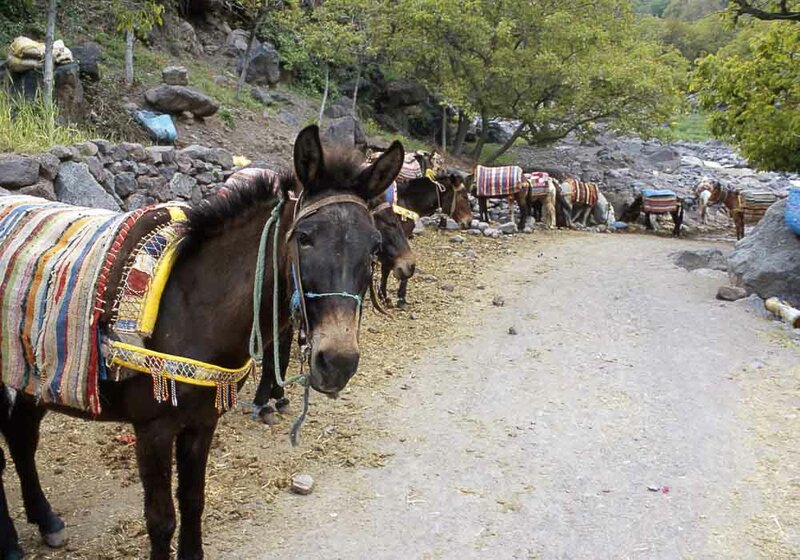 The best way to go trekking from Marrakech is to sign up with an official trek company. Experienced and friendly guides then arrange everything for you, tailoring their trips to your hopes, fitness and amount of time available. 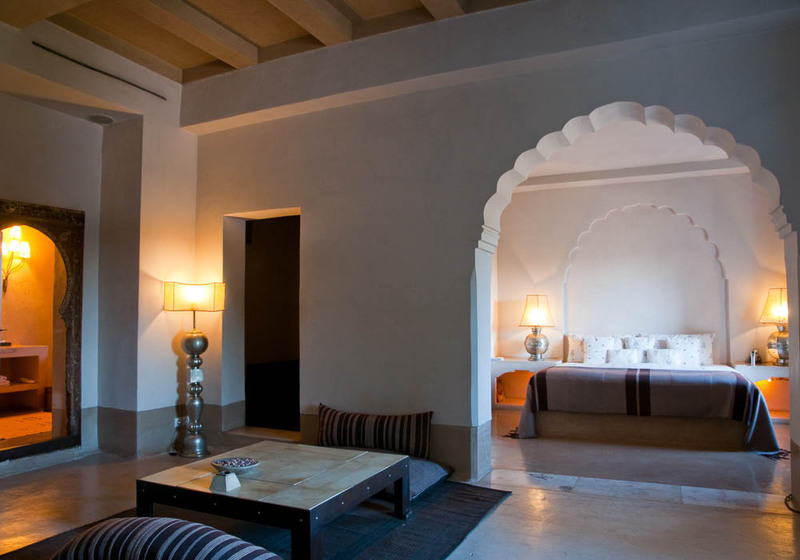 Marrakech is a city that has welcomed travellers for centuries, and thanks to this, when you visit you’ll be able to choose from a breathtaking array of quality places to stay. You can choose from a wide range of hotels, ranging from good quality places for people travelling on a budget, to top of the range, five star complexes with outdoor swimming pools, rooftop restaurants and every need catered for. 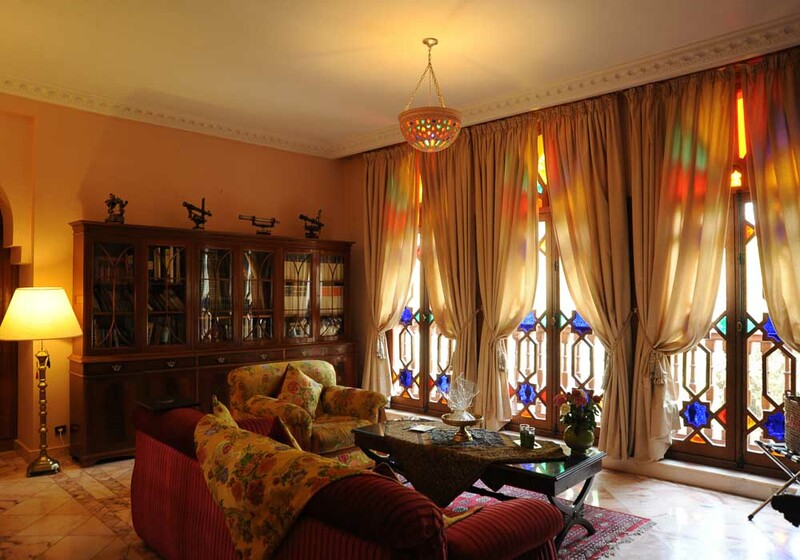 If you want to really experience the magic of Morocco, then you must stay in a riad. These traditional residences are an integral part of the country; luxurious houses with a courtyard at the centre in which you’ll find trees and a fountain. Completely different to staying in a hotel and a fabulous immersion into Moroccan culture, Marrakech has hundreds of riads for you to choose from. 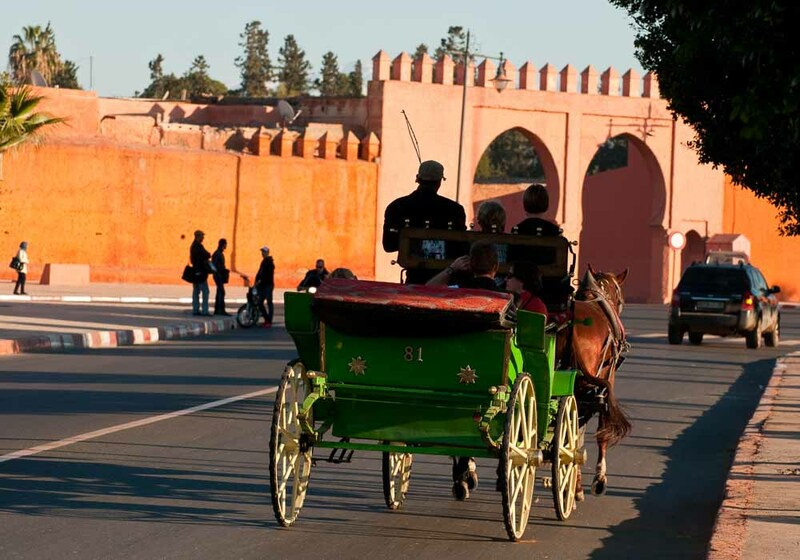 Getting to Marrakech from the UK is fantastically easy. 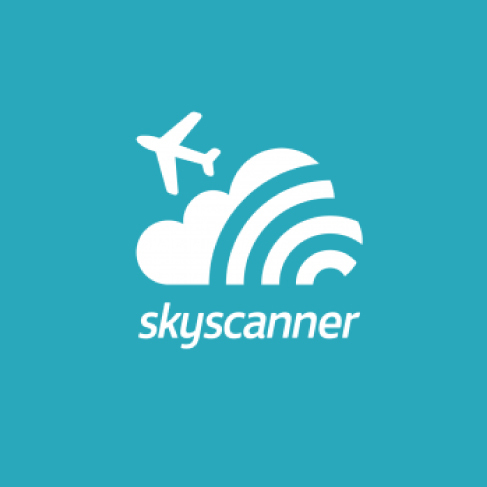 There are direct flights from Gatwick, Stansted, Manchester, Glasgow, Dublin, Birmingham, Luton and Bristol, none of which takes more than four hours. Your plane will land at Marrakech Menara airport which is only four miles away from the city centre, and there’s a regular bus service that runs every half hour to and from the Medina. Alternatively you can take one of the many taxis that are available for hire day and night - they’re reliable and reasonably priced. Marrakech is a hub city with good links to the rest of Morocco, and you can also fly there directly from Casablanca and Agadir. You can reach Marrakech from the northern cities by train, or take advantage of road links to the city via bus, motorbike or hire car.